Cutting Edge Low Spatter and Low Heat Input Welding Machines. 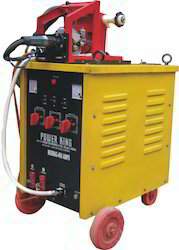 We are one of the leading manufacturer of CO2 MIG Welding Machines. We offer these machines in various sizes and types, keeping in mind the diverse requirements. CO2 welding machines are supplied by us keeping in mind the premium quality. Keeping in mind ever-evolving requirements of our respected clients, we are offering a premium quality range of CO2 Welding Machine. Note: customer only having uses in ITI Institution should Contact. INMIG-i Series welders are Semi-Automatic Gas Shielded Metal Arc Welding machines, Mig Welding machines or Mag welding machines with advanced wave control technology. 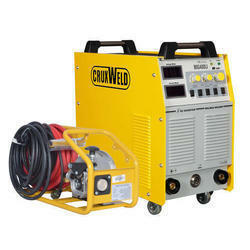 These Mig/Mag Welding Machines are available in 250, 350, 500 and 630 Amps range. We offer a range of co2 welding machine and cO2 welding equipment that are well capable of welding all common metals like carbon steel, stainless steel, aluminum etc. Highly efficient, these co2 welding machine and cO2 welding equipment require minimum maintenance, are power saving and have extremely low running cost.